CHICAGO, July 3 (Reuters) - Navigating Medicare can be complicated, but one big change recently introduced requires that you do absolutely nothing beyond opening an envelope. In fact, doing just about anything else could open the door to a damaging identity-fraud scam. Medicare is mailing out new identification cards to 59 million Americans this year and in early 2019. The old Medicare cards use Social Security numbers as identifiers; the new cards use a unique, randomly assigned number. The changeover is part of a sweeping federal initiative to bolster defenses against fraud by reducing the widespread use of Social Security numbers as identifiers throughout the government. Trouble is, phone scammers are taking the card replacement program as an opportunity to target seniors. The most common trick is to call Medicare enrollees and tell them they must pay for their new cards, then request their bank account information or Social Security numbers. That opens the door to identity theft. “We are hearing from people who have been told their Social Security payments will stop coming unless they give the caller their personal information, or that they can’t send the new Medicare card unless they get a payment,” said Amy Nofziger, a fraud expert with AARP. In fact, the new card is free, and you do not need to do anything to get it. The new card does not change your Medicare coverage in any way. And Medicare will not be calling you about this. Just keep an eye out for an envelope containing the new card, and then give the new number to your healthcare providers. Then stash the card away for safekeeping, since carrying it around creates yet another theft risk. Finally, destroy the old card. An AARP survey conducted in March found that 76 percent of adults aged 65 and older had not seen, read or heard "much of anything at all" about the new Medicare cards, or were not sure if they had. Three-quarters could not correctly identify the key change coming with the new Medicare identification numbers. Nearly two-thirds were unsure or incorrect in thinking that Medicare would be charging beneficiaries a $25 processing fee for the new cards. And 56 percent were unsure or incorrect in thinking that Medicare would be calling to verify their Social Security number before they could receive their new card. Most of the fraud schemes are being conducted by phone, Nofziger said. So understanding Medicare phone protocols is key. 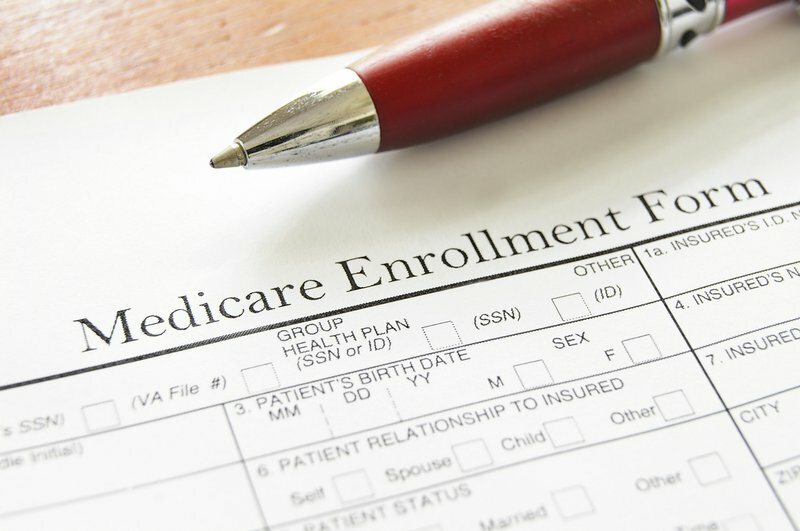 As a general matter, the Centers for Medicare & Medicaid Services (CMS) does not contact enrollees for Medicare numbers or other personal information, unless they have granted permission in advance. The only time you might receive a legitimate phone call from Medicare is if you have given CMS permission to call in advance; also, Medicare Advantage or prescription drug plans may call if you already are a member of that plan. You also might get a call from Medicare if you have left a message requesting a call-back. More information on preventing Medicare fraud can be found at the CMS website: (bit.ly/1QneOn0). The Social Security Administration does sometimes call beneficiaries for customer service purposes, but representatives never ask for personal information. If you are not certain that a call from Medicare or Social Security is legitimate, hang up and call the agency back on the customer service lines: 1-800-633-4227 or 1-800-772-1213 for Social Security. If you have been victimized by a Medicare fraud scam, put a freeze or fraud alert on your credit with one of the three major credit reporting companies (Experian, TransUnion and Equifax). Nofziger notes you need call only one of these companies, which will in turn alert the others. Also notify your bank and credit card providers. AARP maintains a fraud hotline that can provide help: 1-877-908-3360. This article was from Reuters and was legally licensed by AdvisorStream through the NewsCred publisher network. This content is being provided by third-party sources deemed to be reliable. BPP Wealth Solutions LLC does not make any representation as to the accuracy of any of the information being provided. The views expressed in this content are the opinions of the third-party source, and may not reflect the views of BPP Wealth Solutions LLC. The information in this communication or any information within the www.bppwealth.com domain, and or any attachments to any BPP Wealth Solutions LLC communication is strictly confidential and intended solely for the attention and use of the named recipient(s). If you are not the intended recipient, or person responsible for delivering this e-mail to the intended recipient, please immediately destroy all copies of this e-mail. Any distribution, use or copying of this e-mail or the information it contains by other than an intended recipient is unauthorized. This information must not be disclosed to any person without the permission of BPP Wealth Solutions LLC. Please be aware that internet communications are subject to the risk of data corruption and other transmission errors. For information of extraordinary sensitivity, we recommend that our clients use an encrypted method when they communicate with us. This is being provided for information purposes only, and does not constitute a recommendation to buy or sell any securities. Any past performance indicated is not indicative of future results. Investment advisory services offered through BPP Wealth Solutions LLC, an SEC registered investment adviser. CFP®, CERTIFIED FINANCIAL PLANNER ™ and CFP® (with flame logo) are certification marks owned by the Certified Financial Board of Standards, Inc. These marks are awarded to individuals who successfully complete the CFP Board’s initial and ongoing certification requirements.